Seven days – fifty Stockholm hot spots. Climb on board for this tour of chic restaurants, bastions of New Nordic Cuisine, home-style eateries, hip cocktail bars, neighbourhood locals, discos, jazz joints and other cultural gathering spots, led by author Ronald Giphart and photographer Jan Bartelsman. Giphart regales us in matchless prose with accounts of chance meetings and impressions garnered on this epic on-the-prowl-for-choice-food-and-good-cheer jaunt through Stockholm. His compelling stories are, as always, filled with the intoxicating character of each successive location. This is a personal journey, including personal anecdotes and observations. Through Giphart and Bartelsman, we see that the art of gastronomy is alive and wel and living in Stockholm, and that Swedish meatballs and pickled herring are happily sharing the menu with a smörgåsbrod of other delicacies, old and new. Bartelsman’s beautiful photographs give an impression of each TopSpot’s individual character to round out the book in style. TopSpots Stockholm is a savoury introduction to the engaging and witty prose of Giphart. 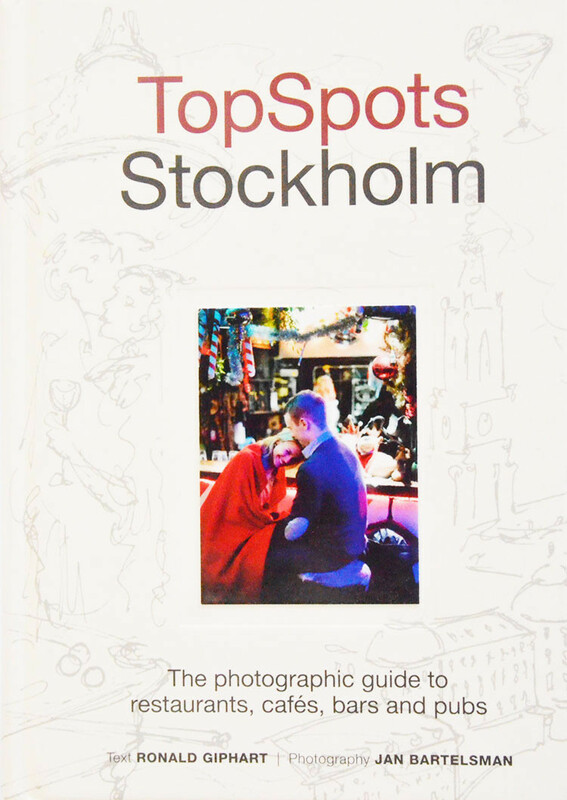 As a guide to the TopSpots of Stockholm, this book is indispensible. During the writing of this book I frequently used Wikipedia, as well as different internetsites of the restaurants. Also I quoted myself on occasion from my books Troots (2005), Keukenprins (2008), Mijn vrouw en andere stukken (2009) and Eten, drinken, slapen (2010).